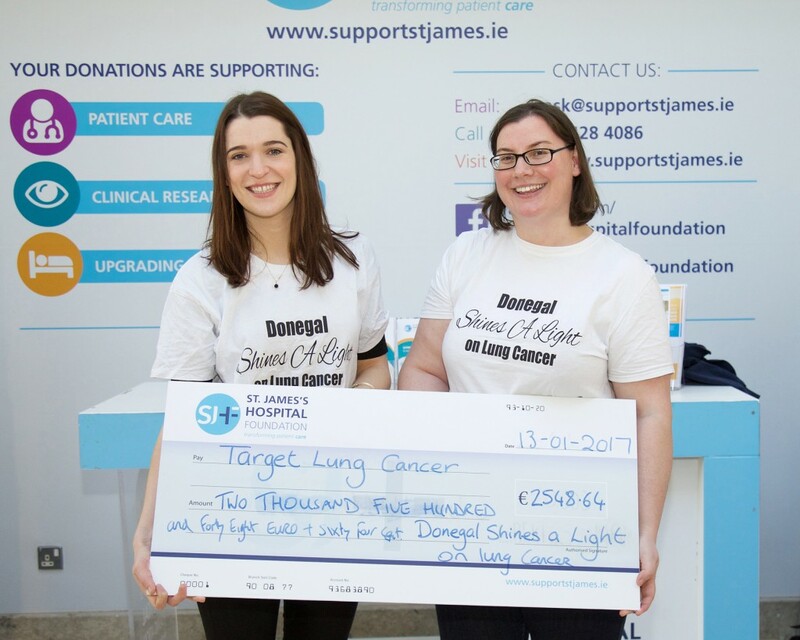 Thank you so much to Anne-Marie Baird and everyone involved in the “Donegal Shines a Light on Lung Cancer” fundraising event. 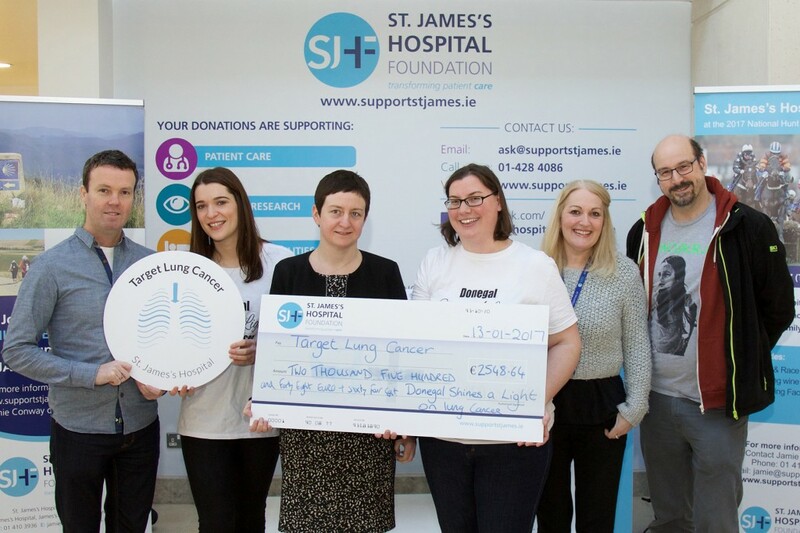 Anne-Marie presented a cheque recently to our Target Lung Cancer team for €2,548 from money raised at the event. 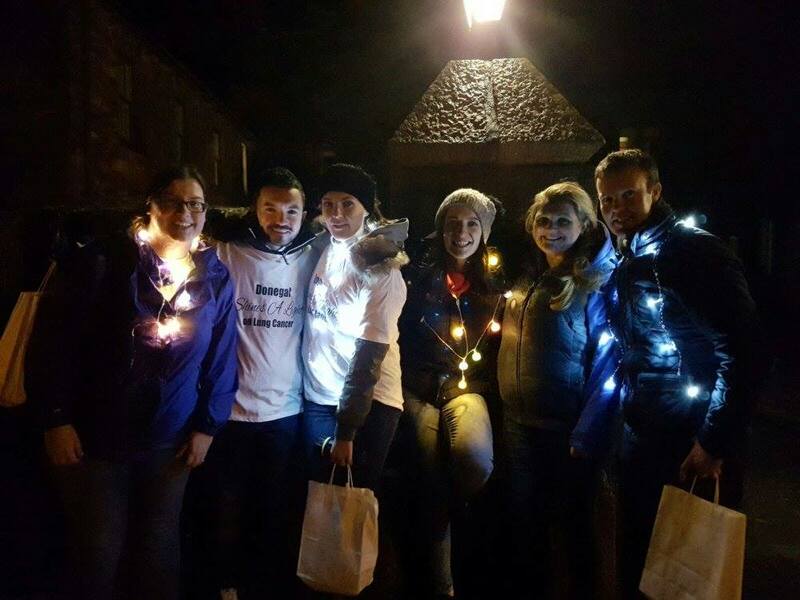 In November of 2016, supporters gathered for a 5 km walk in Glenveagh National Park, on a night of hope, inspiration and support for all of those touched by lung cancer. Donegal took part in a global effort to ‘Shine A Light On Lung Cancer’ for the very first time. The event not only raised money for Target Lung Cancer at St. James’s Hospital but also more importantly raised awareness of the disease that kills more men and women than any other cancer type. There was lots of media coverage from radio interviews to local press. Well done to everyone involved in such a wonderful event.